A peaceful and contemplative boy lives alone at the End of the World, hunting treasure with old maps and whistling tunes. Until, that is, a self-styled Professional Visionary arrives and puts up a sign: CONSTANTINE SHIMMER’S GALVANO-MAGICAL END OF THE WORLD TOURS. FUN ALL THE TIME! Soon men with machines come to pave a clearing for the inn and theme park, and the touring children seem nice, but still . 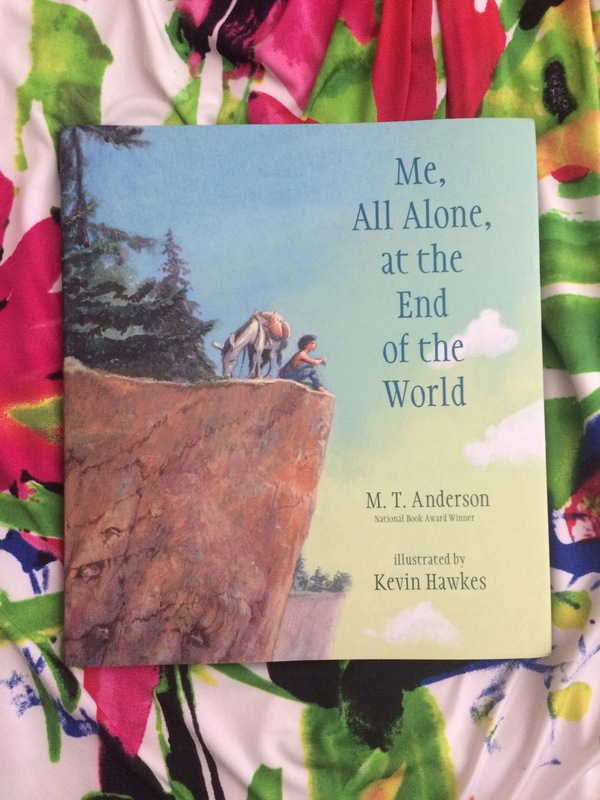 . .
About: Me, All Alone, at the End of the World is a children’s picture book written by M. T. Anderson and illustrated by Kevin Hawkes. It will be published on 3/14/2017 by Candlewick, hardcover, 48 pages. The genres are adventure, nature, fantasy, fiction, etc. This book is intended for children ages 6 to 9, grades 1 to 4. According to the publisher’s website, Candlewick Press is committed to making the world a better place, not just through the books they publish but also in the way they work. Click HERE to learn about their green initiatives and their commitment to improving life in the community. They are currently celebrating 25 years anniversary and when you order from their website, you will get 25% off your order, discount code: CANDLEWICK. Please see below for more info about the author. My Experience: I started reading Me, All Alone, at the End of the World for my 5 year-old son as a bed time story on 2/25/17 and we finished it that same night. We read it again on 3/5/17 because this book calls for re-reading. The illustration is amazing! Very imaginative! In this book, readers will follow a boy who lives alone by the mountain cliff at the end of the world. He enjoys the slow days where he spends his time looking for fossils, listening to the winds, whistling, and watching the sunset. One day, a strange man named Constantine Shimmer appears and tells the boy he will create an end of the world tours so that more people will come and it will provide fun all the time. Mr. Shimmer thinks the boy should have friends and fun. Once the fun park is set up, Mr. Shimmer introduces the boy some friends, Bert, Juke, and Minnie Bucket. They have all kinds of fun together at the Constantine Shimmer’s Galvano-Magical End of the World Tours Fun All The Time. They enjoys hang glide, hot air balloon, ice skating, and many more. After a week of fun, the boy miss the wind and the quiet solitude before Mr. Shimmer arrives. Despite the new friends and the fun, he wants to leave. I really enjoy reading this book. I can relate to the boy wanting solitude to think and listen to nature. My son and I truly love the illustrations. I don’t know if this book can be enjoyable for kids without the pictures because I think kids may enjoy the fun more than the solitude. I enjoy this book a bit more because I prefer more quiet time than loud noise. This book, however, is still great for kids because it shows that they can still have fun on their own. The boy likes to look for treasures with old maps and puts bones of dinosaurs back together with twine. At night he likes to sleep in his cozy shack with the sound of the rain and thunder. I highly recommend this book for all ages. M. T. Anderson is an accomplished author of a wide range of titles, including works of fantasy and satire, for readers of various ages. He studied English literature at Harvard University and Cambridge University and went on to receive his MFA in Creative Writing from Syracuse University. M. T. Anderson is known for challenging readers to look at the world in new ways. “We write because we can’t decipher things the first time around,” he says. His previous books include Thirsty, a vampire novel; Burger Wuss, a revenge story set in a fast-food emporium; and Feed, a futuristic satirical novel widely lauded as one of the most important and pioneering works of the recent dystopian craze. A finalist for the National Book Award, Feed received the Los Angeles Times Book Prize or YA fiction in 2003 and a Boston Globe–Horn Book Honor. M. T. Anderson’s work may be best known for its sophisticated wit and storylines, highlighting his belief that young people are more intelligent than some might think. 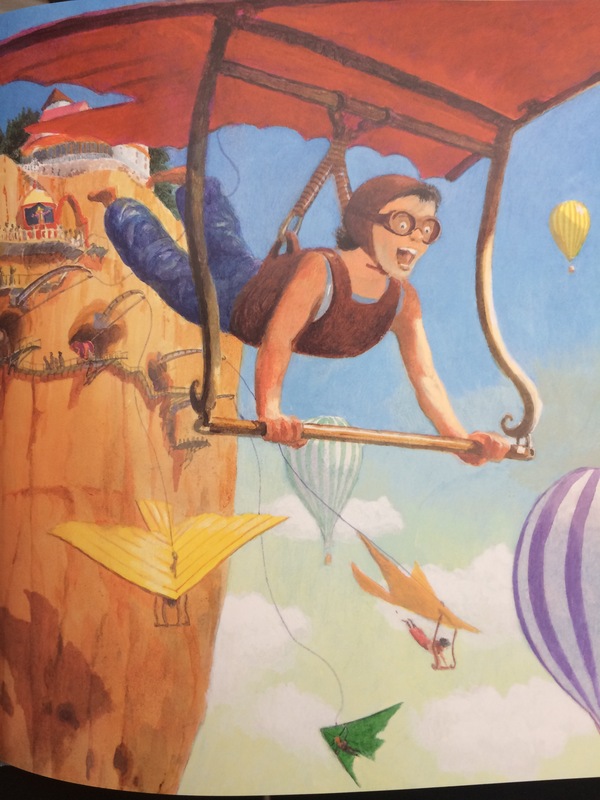 When asked why he gives so much credit to his young audience, Anderson says that “Our survival as a nation rests upon the willingness of the young to become excited and engaged by new ideas we never considered as adults.” (Info obtained from Candlewick website). ***Disclaimer: Many thanks to Candlewick Press for the opportunity to read and review. Please be assured that my opinions are honest. What adorable illustrations! This sounds a bit like The Lorax, which I adore. I love that you keep finding these books. Does your son spend any time reading this on his own? I can understand how some of these books might be too wordy for a child about to begin Kindergarten. Someday soon, he’ll be reading more than you! You may be right about that.. haha.. my son does like to hear stories. I knew I recognized the author! He wrote Feed, and I keep meaning to read that! Have you ever read a kid’s book that wasn’t five stars? 😂 I’m pretty sure all of them so far have sounded amazingly cute! Heheh.. You’re right! 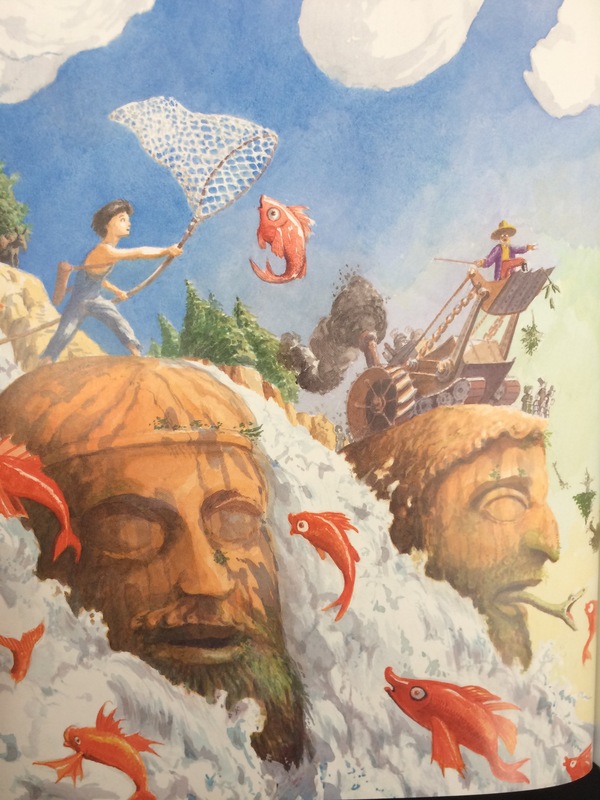 So many kids books are amazing and I love all of these illustrations. (There are few that aren’t, but I don’t feature them on my blog. I only write a small review on Goodreads hehe) I noticed on Goodreads that this author has written so many books. I’m glad that you recognize him because I didn’t.. haha..
Oh yes! I have been meaning to read Feed. It sounds like something right up my alley. My library on Overdrive has a copy.